An outspoken participant in the civil rights movement, Roger Wilkins served as Assistant Attorney General during the Johnson administration. In 1972 he was awarded the Pulitzer Prize along with Bernstein and Herblock for his coverage of Watergate. Yet this black man, who has served the United States so well, feels at times an unwelcome guest here. In Jefferson’s Pillow, Wilkins returns to America’s beginnings and the founding fathers who preached and fought for freedom, even though they owned other human beings and legally denied them their humanity. He asserts that the mythic accounts of the American Revolution have ignored slavery and oversimplified history until the heroes, be they the founders or the slaves in their service, are denied any human complexity. 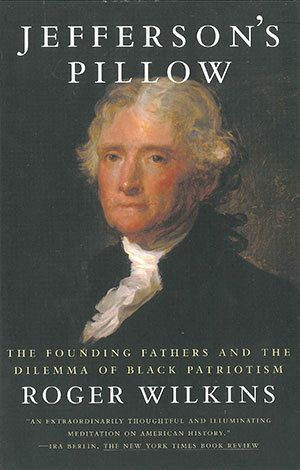 Wilkins offers a thoughtful analysis of this fundamental paradox through his exploration of the lives of George Washington, George Mason, James Madison, and of course Thomas Jefferson. He discusses how class, education, and personality allowed for the institution of slavery, unravels how we as Americans tell different sides of that story, and explores the confounding ability of that narrative to limit who we are and who we can become. An important intellectual history of America’s founding, Jefferson’s Pillow will change the way we view our nation and ourselves.